Then mix it up in a blender. Simple as that. Raw Caoco powder and Chia seeds might not be something you have hanging around in your kitchen cupboards. They certainly didn't used to be in mine. In fact I had never heard of them until recently. But since I have come across them I'm converted. I bought them from Amazon and a packet of each has lasted me for absolutely ages. The blog post that explained it for me was over at Deliciously Ella. Basically unlike regular milk chocolate that is full of processed sugar, Raw Cacao is full of antioxidants and minerals with numerous health benefits. So you get the chocolate without the guilt. Again head over to here for 10 reasons to add Chia seeds to your diet but they are a great source of Protein (healthy omega-3 fats) and fibre. For someone like me with a fatty food intolerance these are great. 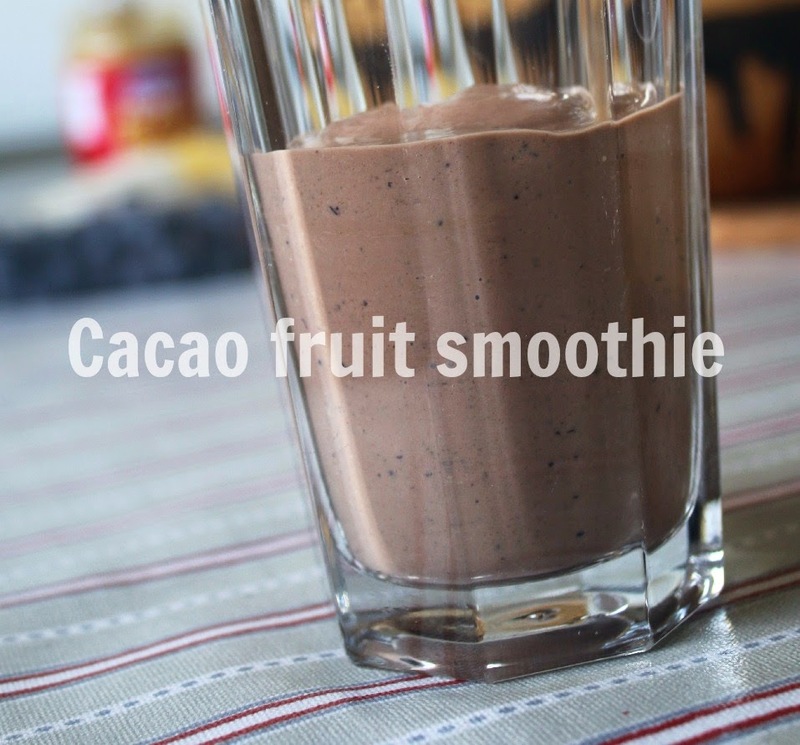 The beauty of smoothies though is you can adapt them depending on what you have in the cupboards. Sometimes I use Raw Honey instead of Maple Syrup. Sometimes I use neither. Sometimes I use strawberries instead of blueberries. Or just banana because I've run out of everything else. I kind of just make it up on the day. And I don't feel guilty about giving it to them. Oh, yum!! 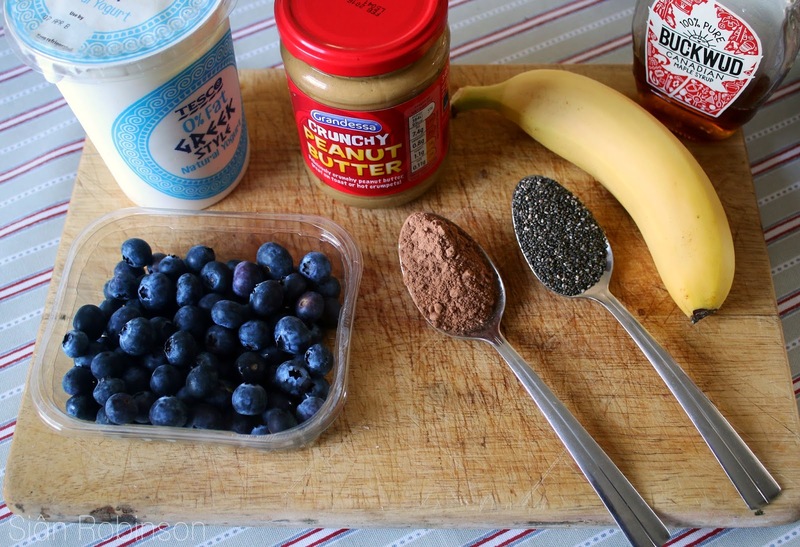 I love pb and banana in a smoothie! Ok, I'm saving this recipe for later- when I have my own kitchen to cook in again. Thanks for sharing the recipe! This looks DELISH! 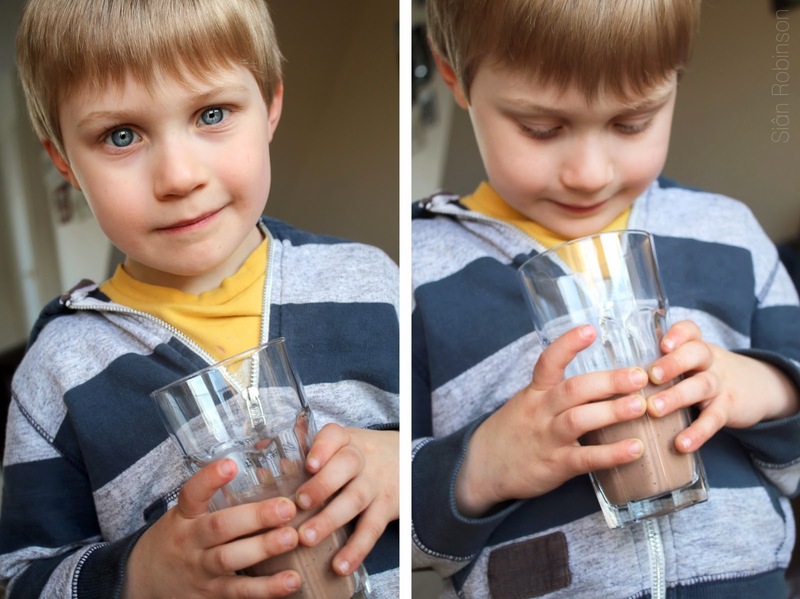 I love smoothies although my two year old won't drink them for some weird reason! I've never thought to add Chia seeds but I'm going to go out and buy some asap.